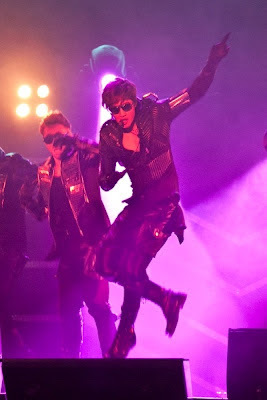 Singapore being the first stop of “Kim Hyun Joong Fan Meeting 2012” Asia Tour, Kim Hyun Joong has really set the standard for the upcoming shows to be held in Hong Kong, Taiwan, China and Thailand later this month. Held on May 4, the Korean heartthrob wowed the fans and media not only with his slick dance moves, but also with his sincerity that impressed the audience during this first-ever personal fan meeting here. 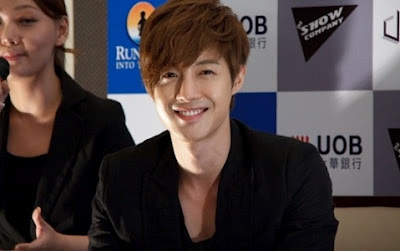 Kim Hyun Joong’s previous visits were for TheFaceShop promotional activities and 2011 Mnet Asia Music Awards. A total of fifteen songs were performed, including two for encore stage. “Smile” was performed for the very first time to a live audience. I found it pretty amusing when the U:ZOONSIN bank notes were blown into the air as Kim Hyun Joong came on to sing “Do You Like That,” the fans in the floor area were busy grabbing the alien currency instead of watching his performance. Kim Hyun Joong also performed “Because I’m Stupid,” an OST from “Boys Over Flowers” originally by SS501 trio unit made up of Heo Young Saeng, Kim Kyu Jong and Kim Hyung Jun. 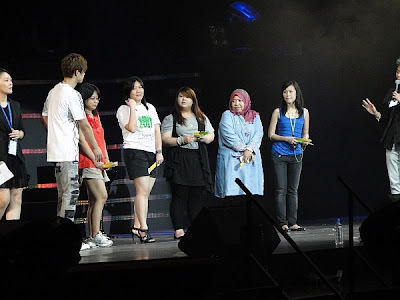 During the stage activities segment, five fans were randomly selected to play a mind game with Kim Hyun Joong if they managed to find a sticker under their seat. There were only four prizes so the first loser would leave with nothing. But who would have guessed that the first to be ousted from the game would actually emerged the biggest winner as she was led backstage to participate in the next song! Besides giving away a huge teddy bear to another fan, Kim Hyun Joong also made a point to get close to the fans by coming out from a corner of the floor seating area for the first encore song. Fans of course dashed forward in hopes of touching the star. 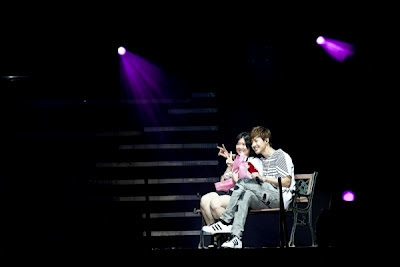 The fan meeting soon came to a close but the fans’ spirits were still high as it wasn’t the end yet! Everyone was waiting eagerly for Kim Hyun Joong to come back on stage while the staff and crew gets ready for the high-five session. 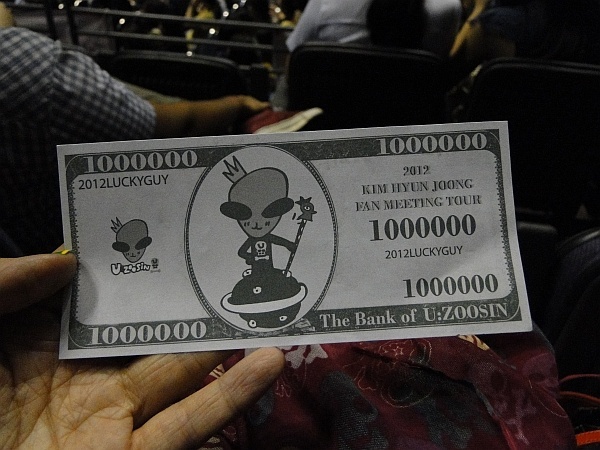 This is a record not to be easily broken as Kim Hyun Joong spent more than an hour to give handshakes or high-fives to the 3,000 fans present. Quoting an ardent fan Alice Chen’s comment on Facebook, “I have been to so many performances but this is really the best so far. Even better than the one in Seoul. Could feel his sincerity 100%!” I couldn’t help but agree that this fan meeting is certainly of a concert standard and K-Pop fans would be expecting more for future fan meetings that would be held in Singapore. We would like to thank Running Into The Sun and AMC Group for inviting Soompi. All pictures credit Running Into The Sun.